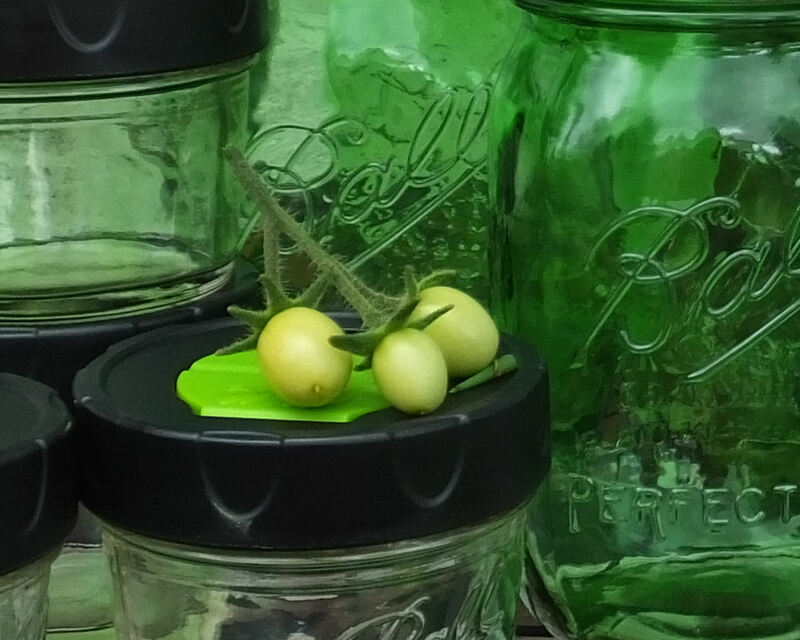 You already know that we are big fans of Ball® jars and food preservation products. We use them for everything. Drinking glasses with their new lids, canning!! making yogurt and more recently making chia pudding. Ball® sent me some really cool things to review, use and enjoy AND they are going to give away the same things to one lucky reader! 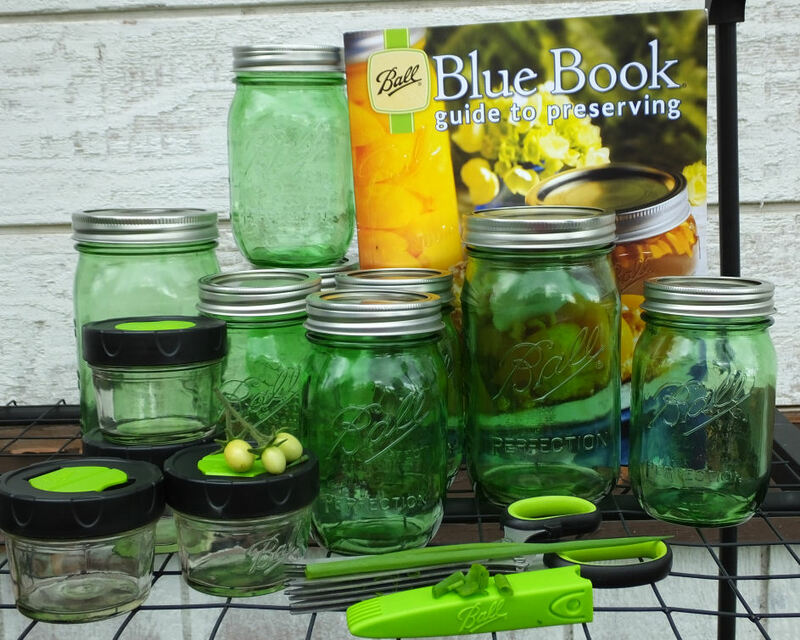 The Ball Blue Book® Guide is THE go to guide for food preservation. Between this book and a good extension service, you have a wealth of information ready to go for preserving your garden and summer market finds for the year. The Ball® Heritage Green Jars are my favorite. It's hard to choose, because the Elite jars are so stylish, and last year's blue jars are my daughter's favorite color- but green is my favorite. Look how pretty that color is! This year they come in two sizes- pints and quarts. The Ball® Dry Herb Jars are really nice. If you grow herbs (and you should, it's so easy and can be done in containers)- all you do is hang them to dry, then after they are completely dry, put them in the jars. I like the jars because they are nice, wide and easy to fill compared to using standard spice jars and a funnel. They also have shaker tops. Those are the jars with the black lids, the green flips up to reveal generously sized holes for shaking crushed herbs into your recipes. The Ball® 5 Blade Herb Scissors are really helpful for fresh herbs. If you look on top of the sheath for them, you can see some chives that I've chopped into nice small rings. Already to go into all sorts of summer recipes, they also work fantastically well for leafy herbs like cilantro. At the end of this post, I'll tell you how you can win all these things, plus a Fresh Herb Keeper, and Ball® Frozen Herb Starters. The Ball® Fresh Herb Keeper is the ideal way to keep things like cilantro fresh in your fridge for a couple of days. Those leafy herbs that tend to wilt too quickly stay fresh and pretty enough to use for a garnish in the keeper, and the Frozen Herb Starters are silicone trays with lids that you can make frozen cubes that are ready for recipes. Put your favorite soup seasonings stock or water and freeze for fresh flavor that's ready to go, or you can use olive oil and other fats as well. Did you see the little tomatoes in the photo above? I have 8 beautiful tomato plants, and so far have had 2 red tomatoes. There are a lot of flowers, and a lot of green tomatoes. A quick search on FreshPreserving.com yielded this recipe for a salsa verde that uses the Ball® FreshTECH Automatic Jam and Jelly Maker. So easy, we have the cilantro and tomatoes in our garden, the rest of the fresh ingredients can be gotten at a farmer's market, and it will look gorgeous in those green jars. So do you want to win everything I mentioned? I have my Blue Book and jars. Waiting on the tomatoes. :-) Cannot wait for my first canning experience! Hi Shala! I LOVE LOVE LOVE to can....as I type this, I have approximately 80 pounds of tomatoes waiting to be snuggled into jars. Busy busy! I'm a beginning canner who wants to learn. My grape and cherry tomatoes are going gangbusters, but the Brandywines I planted because I heard their flavor was incredible? One was *almost* ripe the other day, then BAM. Mouse, I think. A mouse also discovered my first ripe cantaloupe before I did. Grrrrr. My garden is the pits this year, but I keep finding cheap produce at roadside stands. I'm a beginner, but I'm trying to grow more each year and can. I am a beginner who wants to learn more about canning and preserving. I'm a beginner, but my husband actually knows how to can! I am a beginner wanting to learn more! I am an enthused newbie to canning. I am a beginning canner who would like to learn more! Beginner who wants to learn more. I'm a beginner that wants to learn more! I'm a beginner canner, but definitely want to learn how. I want to learn how to make my own preserves. I am very much a beginner so this would be a great start! I'd say that I'm somewhere between beginner and experienced. 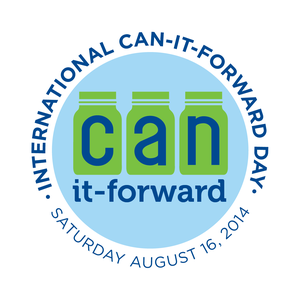 I've done a little bit of canning over the past several years, but I'd sure like to learn a lot more! I am a beginner that is enthusiastic about canning everything! Thankfully, I have several friends in church that are experienced & can help me. I am a beginner canner. I am still learning ! I am a beginner for myself. My grandmother canned every year and it is time I learned. I am a beginner and would love to learn more! I'm not a beginner, but I'm by no means an expert! There is always more to learn! I am a total beginner, but I am eager to learn. I am a beginner. I make jam, but am dying to expand my canning expertise! I am a beginning canner. Canning is something I have always wanted to learn how to do. I am looking forward to getting started, on this wonderful skill. I am a very begining canner! i plan to can all throughout the fall for winter! i cannot wait!! I want to learn how to can like my mother and grandmothers did. Canned tomatoes are my favorite. I have canned a few things before. I did a tomato compote once and accidentally put in way too much sugar (1st time making it), but it was delicious. Everyone I shared it with loved it and didn't believe it was tomatoes. I am a beginning canner who is enthused about learning. I used to watch my Granny and Mom do it, now I would love to learn. I am a beginner canner & I can't wait to get started with the tomatoes in my garden! Yes, I would love to win everything that you have mentioned. I am a beginner who would love to learn. I've canned - jam and pickles. I wouldn't say I'm any where near experienced! I really need to learn more so I'm not as afraid to screw up perfectly good food! I am a beginner canner. I do have some experience but I still have A LOT to learn! An enthusiastic beginner! I've made applesauce and blueberry jam for a total of six jars and am looking forward to doing some spiced pears next. I'm a newbie that would LOVE to learn all about it! It looks like so much fun and beneficial for stocking up! I am an enthusiastic beginner. I've always wanted to learn how to can. I'm kinda in the middle, I've canned a couple things, like homemade salsa and homemade spaghetti sauce but that's about it. I really want to learn how to can some more things and I really like these heritage green jars, and the dry herb jars. I've been wanting to dry and put up some herbs so this would be the perfect opportunity to start that as well. Thanks for the chance to win this awesome giveaway. I'd definitely get many years of use from these jars and other products for my family! I'm a beginner but excited to learn! I am a beginner as of last summer. I love learning to can more things! So far, I have only canned tomatoes and pepper jelly. But it was so rewarding!